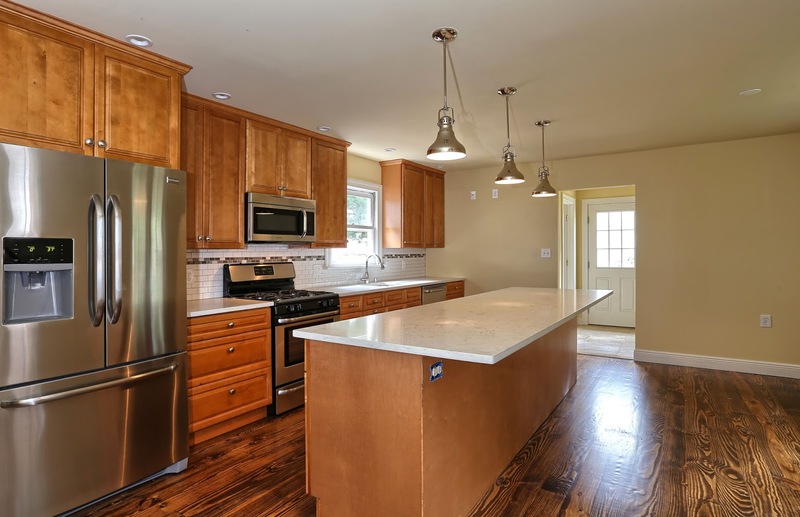 Kitchen Clatter: Riverton's Little House That Could...Did! 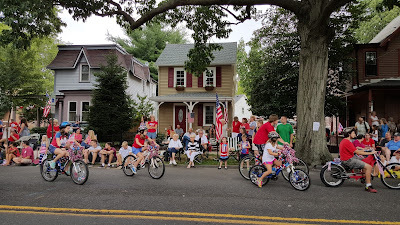 The parade passes right by the front porch! As promised, the parade passed by and it was ready! The once decaying structure of water damaged rafters, rotting floors, and decaying window sills that we visited this past winter, is now what it was promised to be...a home. All it needs now is a family to complete the mission. January , the kitchen ceiling! And that lucky family will be stepping into an over 100 year old house...that is brand new! Let's take a look back to where we began when crunching through frozen snow felt safer that walking on the decaying floor boards. The transformation is amazing. July...a cooks dream, a family's hangout! The combination of money, time and effort upgraded the house flip from a renovation to a resurrection. Listed at $267,000 by Betty Shepard, BHHHS Fox Roach Realtors. this once small two bedroom, one bath house, is now a three bedroom 2.5 bath wonder with a complete open concept kitchen. 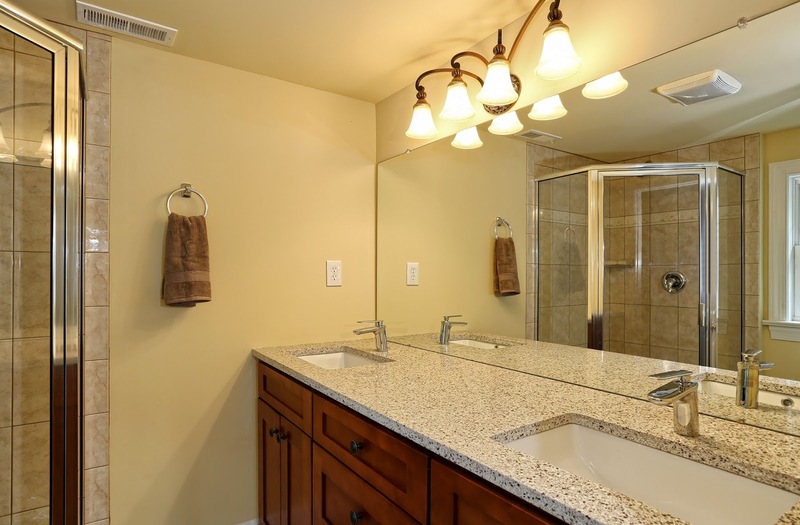 A style that calls for the family to gather around the large center island. 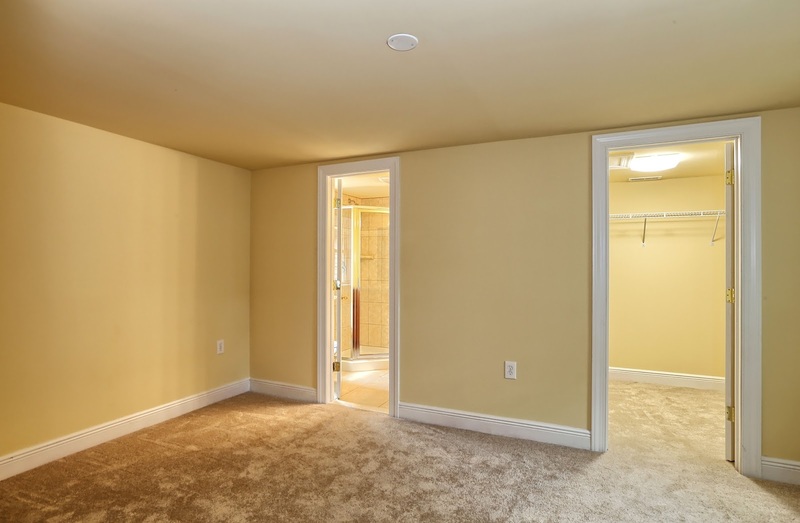 By strengthening the lower structure, and adding a second level over the once decaying back porch, the owners expanded the second floor to allow a true master bedroom with an en suite. A large walk in closet completes the ensemble! The house grew in square footage without changing the footprint! Extending the second floor has made all the difference in making this place exactly what buyers are looking for today. And as mentioned before, this house is almost brand new, including the complete replacement (and removal) of an old oil-fired heating system and numerous radiators. Duct work and venting were worked into the design to accommodate the new high efficiency gas heater and central air conditioning system. And, every rotting wooden window and sill have been replaced as well. Just doesn't get any better than this! ...master bath with two sinks and large walk-in shower. 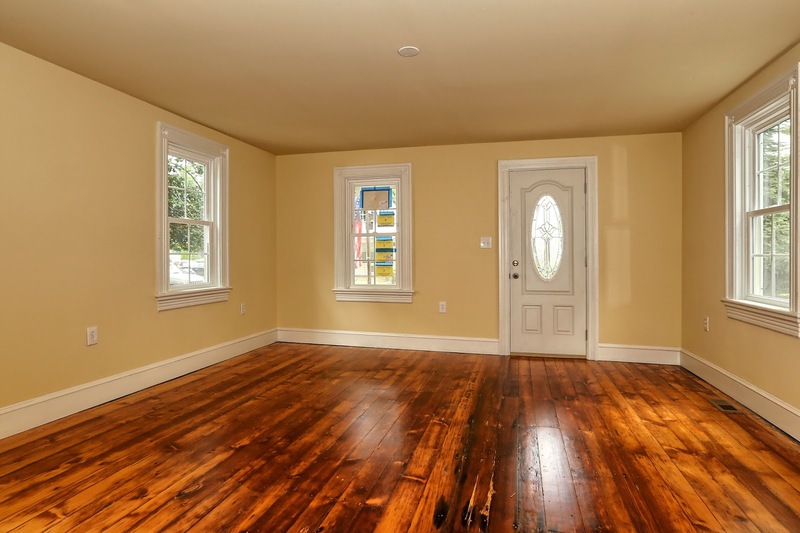 Let's assess the situation; stone countertops, gas stove, new windows, new flooring, 3 new bathrooms, all new HVAC and electrical systems...a brand new home encased in an historical shell. And as beautiful as it is on the inside, the best part, the very perfect part at the end of this renovation, is what is on the outside...Riverton, New Jersey. Imagine having your morning coffee on the front porch as your neighbors walk by. Or, taking a short walk down to the river for an evening stroll. Don't feel like making coffee? Well, less than a block away is a cafe with fresh croissants, a warm brew and wonderful baked goods. Too tired to cook in that great kitchen? Just walk through the back yard for either for spicy Mexican food or hot bubbling pizza. And then complete your meal by stopping in the local ice cream palor. It all surrounds you. The house is tucked within a wonderfully warm and historic town that sits along the Delaware river, as has for over 150 years. ...became this. Original wide-plank flooring sanded and stained! It is a hamlet in every sense of the word. At Christmastime, the old Victorian homes are decked with white lights and candles. The Riverton Christmas Tour is not to be missed. Come autumn, hay stalks and pumpkins adorn the porches. In May, a town-wide yard sale brings traffic to a halt as pedestrians scour through yards in what is locally known as Treasure Day! But it is the 4th of July that brings it all home (pardon the pun). A town wide decorating contest sets the tone with flags and bunting waving in the summer breeze! 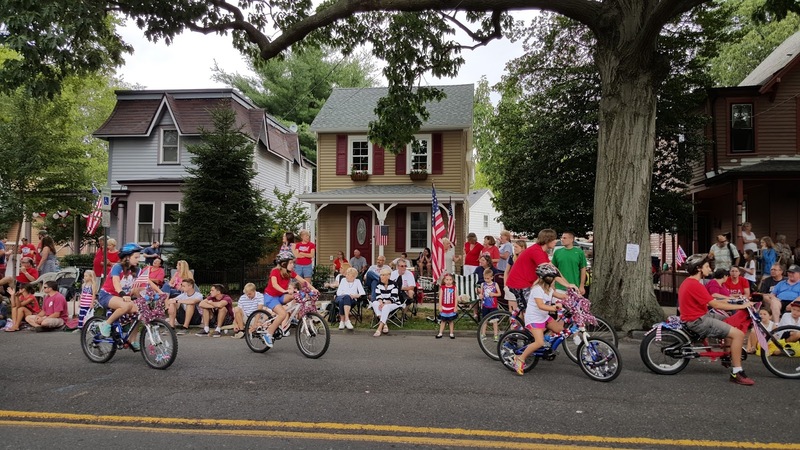 The day starts with a 5K race, then continues with a parade, contests in the park, raft races on the river and go carting down Elm Terrace Lane. And parties galore. During a stroll through town yesterday, live music could be heard at every turn. This town celebrates it's presence with each page turn of the calendar. If you want to be part of it all, a stop at the "not so little"house anymore, is a must! This parade even has it's own Facebook Page! This is the cover photo! community will bee thankful tto you. I like reading an article that wiull make people think. Also, thanks for allowing ffor me to comment!